In fall 2011, HG Logistics LLC made a decision to sponsor the Lockland Panthers Girl's Basketball Team, and this resulted in one of our best investments. The team composed of 4th to 6th grade girls ended their season in high fashion, and I am not referring to their uniforms sporting our HG Logistics logo. What I am referring to is their season record of 13-1 and their tournament victory. They clenched the tournament coming from behind in the final minutes of the last game to win 20 to 17. This victory titled them Southwestern Ohio Girl's League Champions. I know we like to preach that winning is not everything, but you have to admit it feels pretty good. 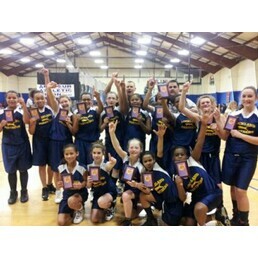 Their victory is a compliment to the girls' hard work and dedication. You Represented HG Logistics Proudly!